Everyone knows what the experience is like attending a live music concert. Whether it’s Beethoven or The Grateful Dead, the atmosphere is alive with electricity. There’s camaraderie amongst you and the stranger sitting next to you that is unique to being at a live event. You look at them and nod in recognition of what a great time you’re having. Now imagine that same concert coming to you via a webinar at your desk. Not quite the same, is it? Sales meetings, kickoff meetings, conferences, and incentive travel programs have a long history of helping companies grow their business through increased sales and good will that come from making personal contact with employees, salespeople, and customers. Everybody knows that. Then why has there been such a big shift away from personal meetings to webinars? In 1990 United Airlines created an award-winning TV commercial in which the president of a company was in a meeting with his key sales team members. A long-term client had just fired the company and the president was clearly not happy. He says, “We used to do business with a handshake. Now it’s a phone call followed by a fax…well folks, something’s gotta change. We’re going set out for a face to face chat with every customer we’ve got.” And then he hands out airline tickets. It’s definitely worth watching and makes the point so clear of how important personal connections are in business. Incentive trips to exotic destinations around the world were the norm during the 1980s and 1990s. Companies in nearly every industry took part: automobiles, auto parts, computers, garage door openers, spa builders, pool companies, tractors, sprinklers, lawn mowers, high tech, and just about every other business you can think of sent their salespeople, distributors, and dealers on trips that were earned and paid for out of increased business to the host company. These trips were not boondoggles, but rather sales tools, and very effective ones at that. Customers clamored to be part of the group that would charter The Orient Express, hold a cocktail party on top of a glacier only accessible by helicopter, dance with the Kirov ballet in St. Petersburg, have their awards banquet where the Nobel Prizes are awarded, take a private tour of the Vatican, perform their own concert in the Sydney Opera House, and the list of incredible events goes on and on. 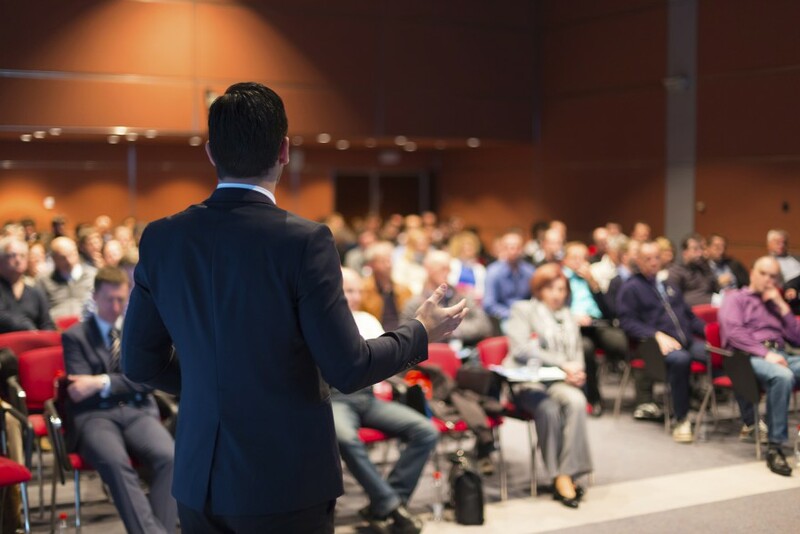 Company meetings have been a tradition in corporate America and for associations since the dawn of the jet age. However, the number of meetings has declined as webinars have taken the lead due to budget constraints, time restrictions, the planning involved, and the new view that they’re not necessary because webinars exist. This is truly a case of comparing apples to oranges. Sales meetings always boost camaraderie, confidence, and revenues after the meeting. Motivation is the most popular use of a well-heeled professional speaker. They can do wonders to move a company forward, get out of ruts, and increase sales. The speaker can “feel the audience” and through research, can identify and address issues specific to the company’s challenges. Add the energy of the salespeople being together to share ideas, and the effect of the meeting can be remarkable. Additionally, many company meetings allow non-salespeople to mingle with the sales groups so everybody can understand each other’s issues. And of course, company executives have an opportunity to meet face to face with employees and to present their “state of the company” speech. The power of the in-person meeting is still the strongest way to bond. What are the primary goals that can be achieved by a live meeting? We already know an incentive program can drive sales. Additionally, many companies run incentive trips just to build relationships with their sales force and customers. Think of it as the ultimate way of taking a client out to dinner. A meeting brings your company together so they see themselves as a strong team. For your customers, you as the sponsoring company get to know your customers as people, not companies. You develop a relationship that can’t be earned over the phone or online. There are those that say in today’s economy, company meetings and incentive travel programs needs more return on investment (ROI) than ever before. Therefore any meeting or incentive needs more business content, more meetings, and more education. Wrong! These are merely sound bites to try to convince today’s new younger management that trips are justifiable and are not boondoggles. Those managers are new to people relationships and I believe are being pressured by today’s easy access to social media which confuses the benefits of a social media interaction with that of a personal meeting. I have seen customers buy more products, salespeople work on weekends, and distributors push a client’s products hard—all just to be part of an amazing journey to an exotic destination with their peers. I have seen warehouse workers increase their output, production lines increase their numbers, and marketing teams push salespeople to reach new heights in their own company. After hundreds of programs in just about every industry, I have never once seen a program that didn’t lead to increased sales and profits, and better relationships with all company employees, customers and salespeople. In-person company meetings, motivational speakers who are tuned in to a company’s needs, and incentive programs worked before for all of these excellent reasons and the reasons haven’t changed just because of the advent of webinars. Use a meeting to build relationships and grow your company as only an in-person event can do. Article submitted by eSpeakers guest writer Larry Jacobson. Larry is a veteran of the incentive travel industry. The founder of Creative Incentive Group and World Class Incentives, he spent twenty years in charge of sales and marketing and was responsible for building these companies from zero to the boutique darling of the industry. He currently is vice-president of sales and marketing for BenchMark Incentives, an incentive travel consultant, and motivational speaker on the subjects of sales, leadership, and passion. He welcomes new friends, prospects, clients, and associates to book him in eSpeakers Marketplace.